Industry leaders work together to combine video with restaurant analytics for faster exception verification, improved loss prevention audits. 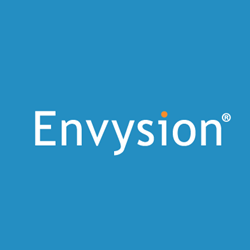 Envysion and Parapet Studios today announced their integration partnership designed to provide a new end-to-end restaurant loss prevention solution that dramatically accelerates investigations and makes loss prevention audits more effective. The joint effort combines Parapet’s intuitive, exception-based reporting and analytics platform, Overseer, with Envysion’s Managed Video Solution in a unified system to help restaurant owners and operators reduce losses from shrink, waste, and theft, while increasing visibility of overall operations. Unlike many systems on the market that were adapted and modified from previous solutions, Parapet’s Overseer was built from the ground up and tested extensively with KFC franchisees to work specifically within the KFC restaurant technology environment. When combined with Envysion’s Managed Video Solution, Overseer delivers a familiar and flawless user experience that makes it easy for restaurant owners, operators, and managers to review employee behavior and visually verify suspicious transactions--by incident type, loss type, and frequency--across multiple locations with side-by-side video and receipt data to expedite analysis and resolution.